About CashBet: CashBet is the world’s ONLY complete, crypto-ready iGaming platform. Founded by industry veterans, we are based in Oakland, California, USA and Sofia, Bulgaria. Our licensable technology provides an edge for mobile iGaming operators. Our business has been operational since 2012. We are licensed by the most respected gaming jurisdictions on the planet including the UKGC and the AGCC. We enable profitable casino gambling, social casino, lottery, and skill-based games. 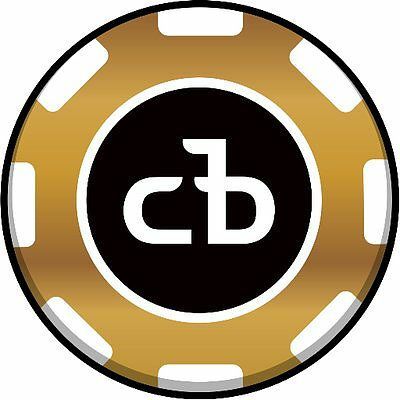 CashBet issued CashBet Coin (CBC) cryptocurrency tokens in June 2018 to solve the major problems in iGaming and crypto casino operations today: speed, trust, cost, access, and content. Position Overview: The Business Development Manager role is an exciting opportunity to join CashBet in a business development role with the responsibility of managing both our existing sales pipeline and developing new business opportunities. A successful candidate will have excellent communication skills in English and preferably other language(s). He or she will be expected to come up to speed quickly on the CashBet platform, the CashBet Coin, and its implications for business. The ability to work independently and be self-motivated are must-haves, as is the ability to function as an independent leader. Manage the end to end sales cycle from demand creation, deal pursuit / management and contract closure. Be the face of Cashbet to the market and help position Cashbet as an industry thought leader and trusted advisor. Understand the business problems our clients / prospects are trying to address. Author and deliver written proposals to the prospect in a timely manner. Build and leverage relationships with CashBet’s partners and advisors to influence deals in our favor. Pricing negotiations – support deal structure and pricing with business value analysis; negotiate prices for proactive bids and proposals. Manage the relationship with the clients post contract closure to ensure that relationship remains on track. Become intimately familiar with CashBet’s line of products and services. Gauge and price our products/services. Be responsible for all collateral sales/marketing material. 3-5 years of professional services sales experience including as a sales executive/professional. Ability to define specific solutions within abstract environment. Employees should have a good grasp of operational gambling businesses. Because of the nature of the business, prior criminal convictions will disqualify you from employment.